Playing with beads and wire !! I have been having a lot of fun making projects with my customer on her big order. 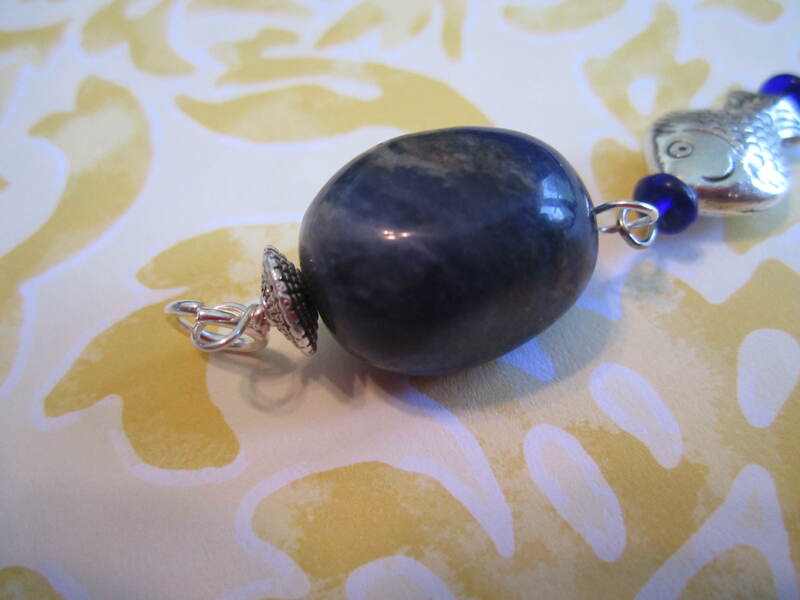 We have tried all kinds of new things and one of them was wire wrapping. She asked if I could wire wrap two pieces together and I gave it a try and we both loved how it came out. Between projects last night, I decided to play with that techinque a bit more and I made a few pieces I want to share !! I plan to list them on Etsy and see how they do !! I had a blast and want to make more !! this is the one I made for her !! and two with charms as well !! this is how they were used !! window tassels for curtain rods, not quite finished here, but close with the set for the other side as well !! 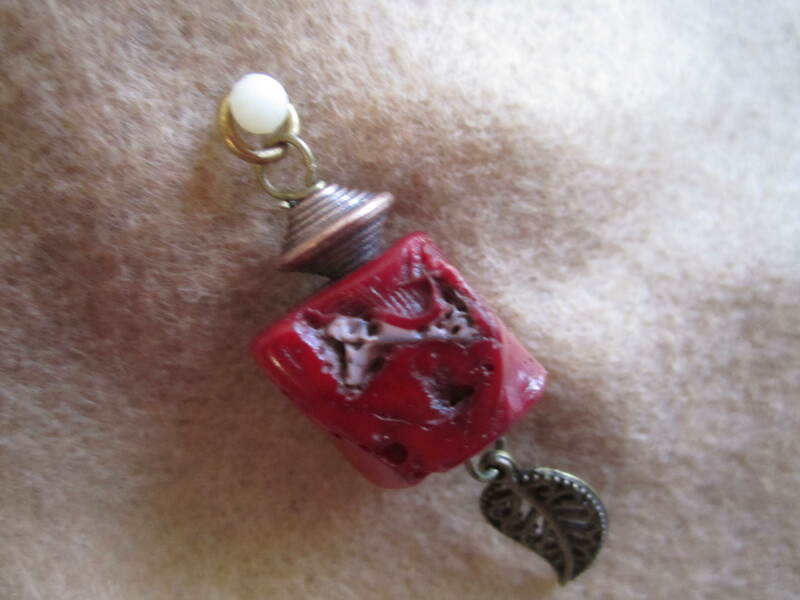 I did redo the smaller dark bead to put the charm higher, it is in the picture below. Here are the ones I made last night ! 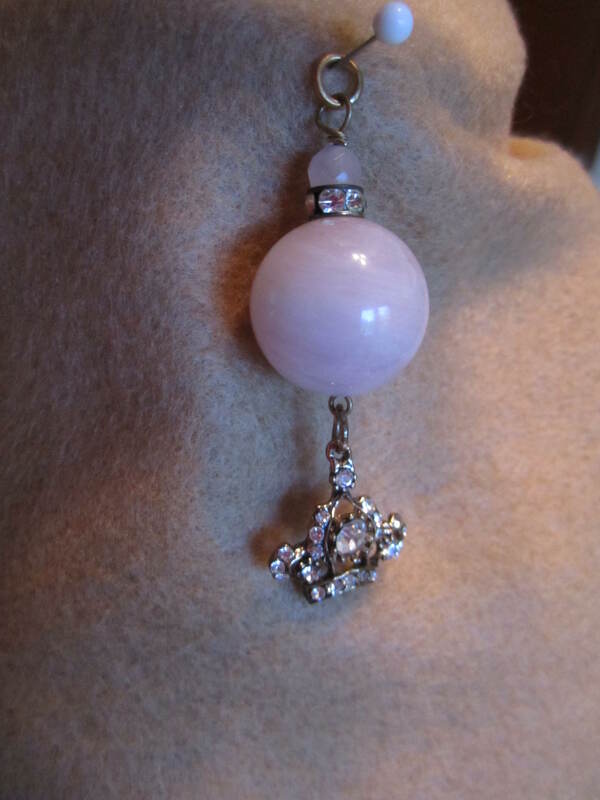 Very large rose quartz with a small faceted rose quartz , vintage rhinestone spacer and antique brass rhinestone crown. I am having some serious issues with my cameras macro setting, so I am having to use my pink point and shoot and so if there is any pink showing on rhinestones or charms, that is what it is from, the pink camera reflecting !! 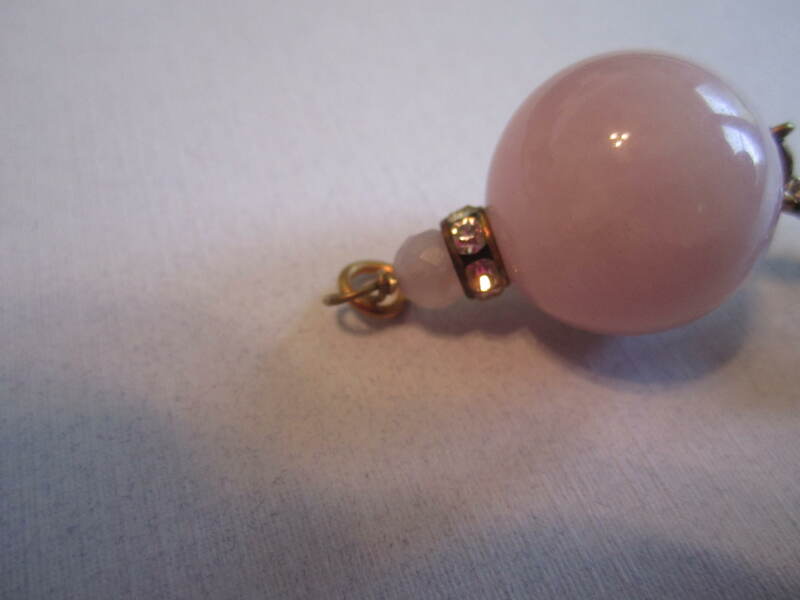 the big stone is a huge round rose quartz stone, probably about 25 mm . 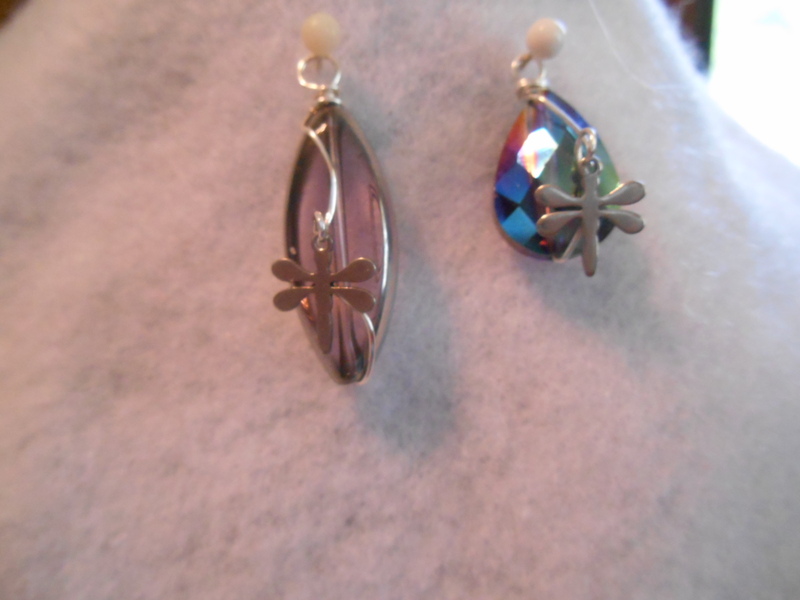 The smaller one is a faceted stone and then the rhinestone spacer is very old, bought 20 years ago and was a vintage necklace then that I took apart !! 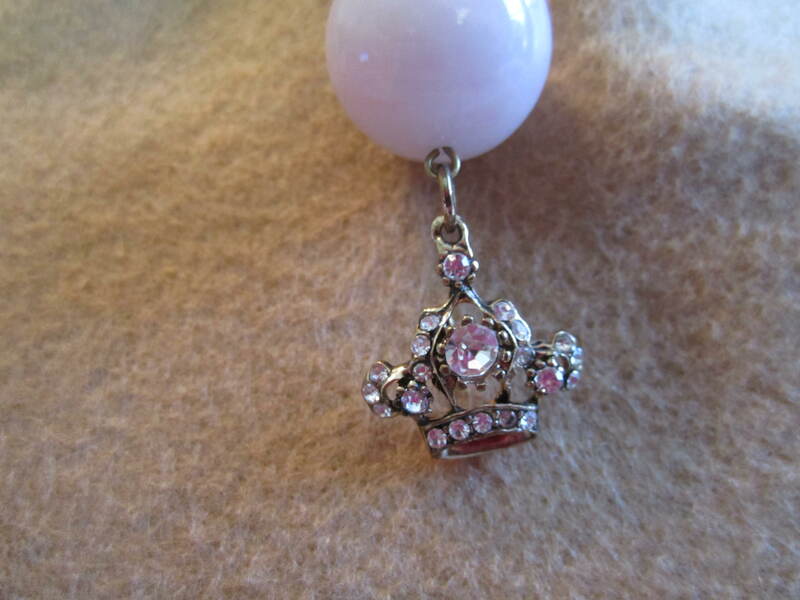 you can see the pink camera reflecting in these lovely clear rhinestones. This charm is very pretty !! 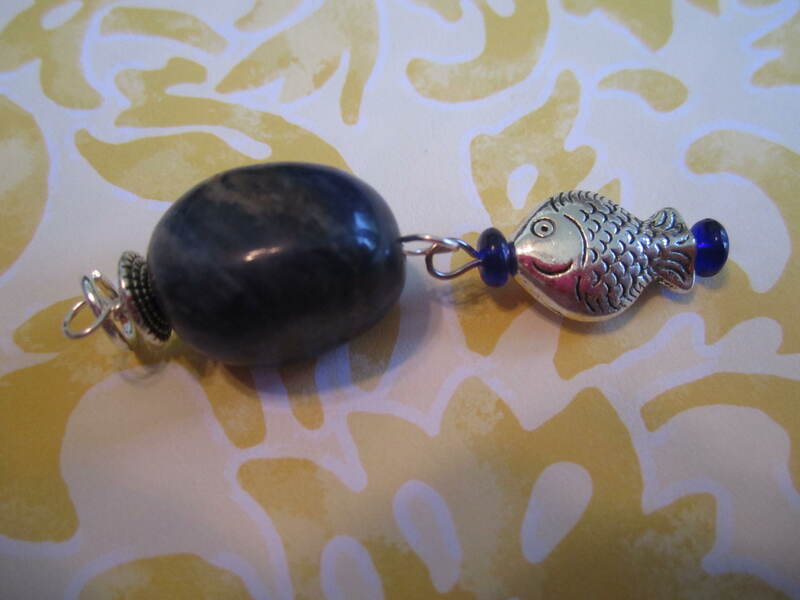 I love this metal fish bead I picked out at the bead market, it is so cute and with the blue glass spacers and the deep blue stone, it is a very nice combination ! 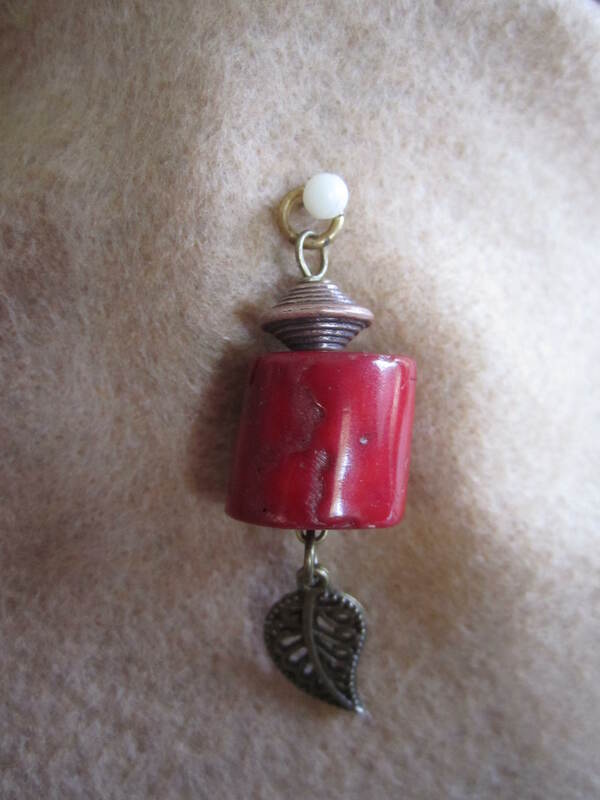 I used a bali style spacer at the top for a cap, really pretty metal bead !! 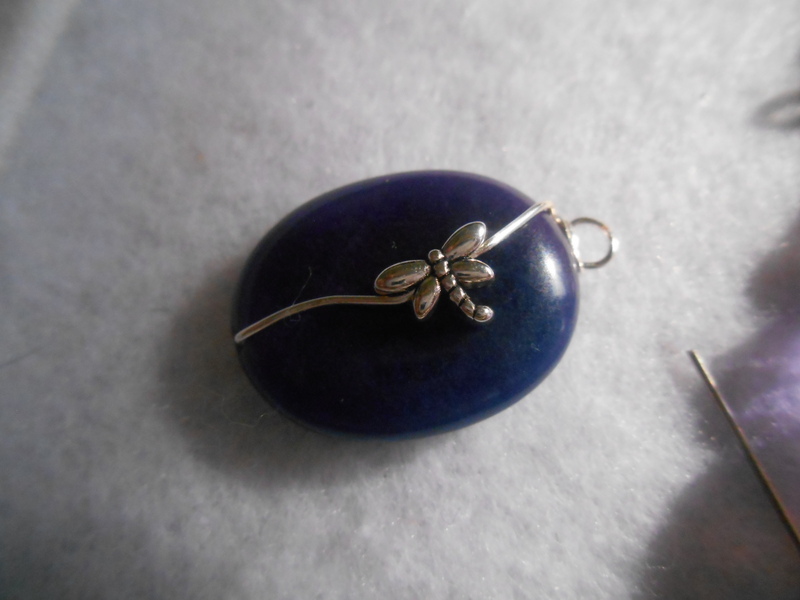 The pretty blue stones are from a necklace I bought and took apart !! 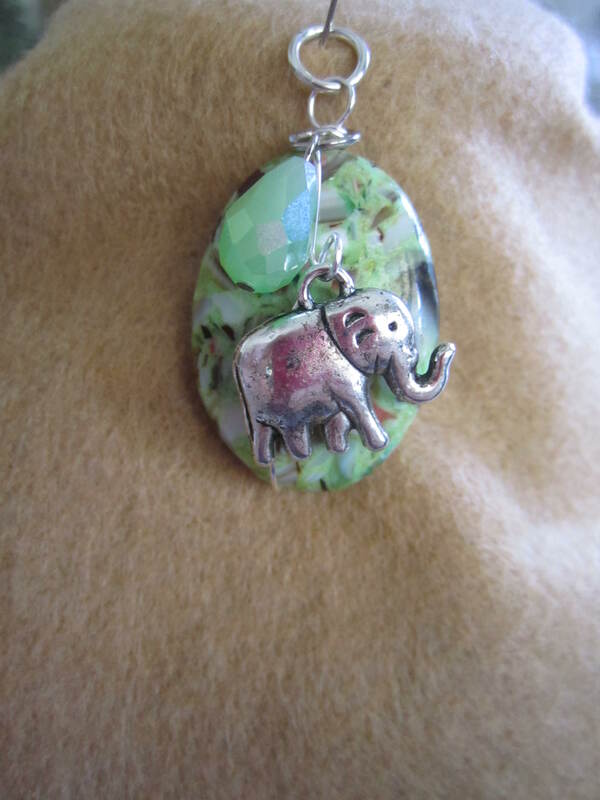 A very large , pretty resin and stone bead, with my favorite elephant charm and a pretty glass bead plase ignore the pink reflection from my camera !! 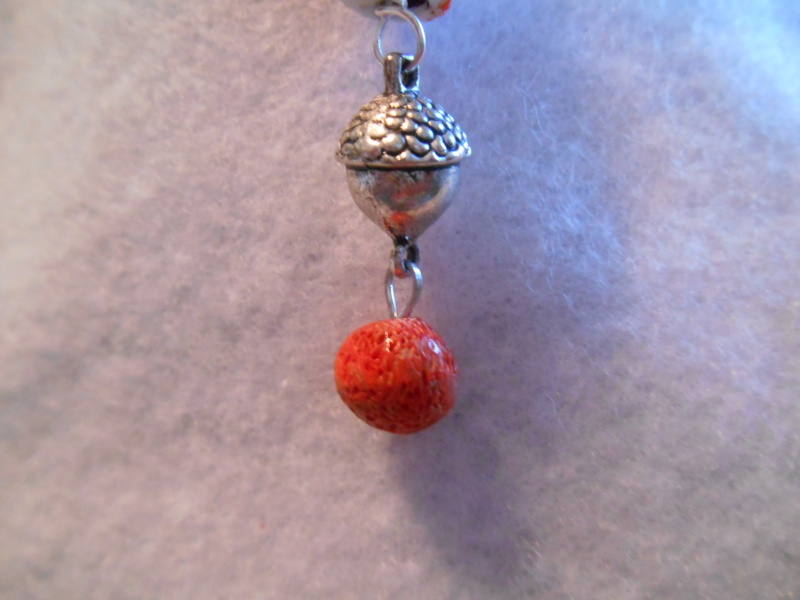 This big orange and white ceramic bead was taken from an old piece of jewely I took apart and the interesting stone bead on the bottom in all different sizes was on the same necklace. I thought it fitting I put them together for this piece !! 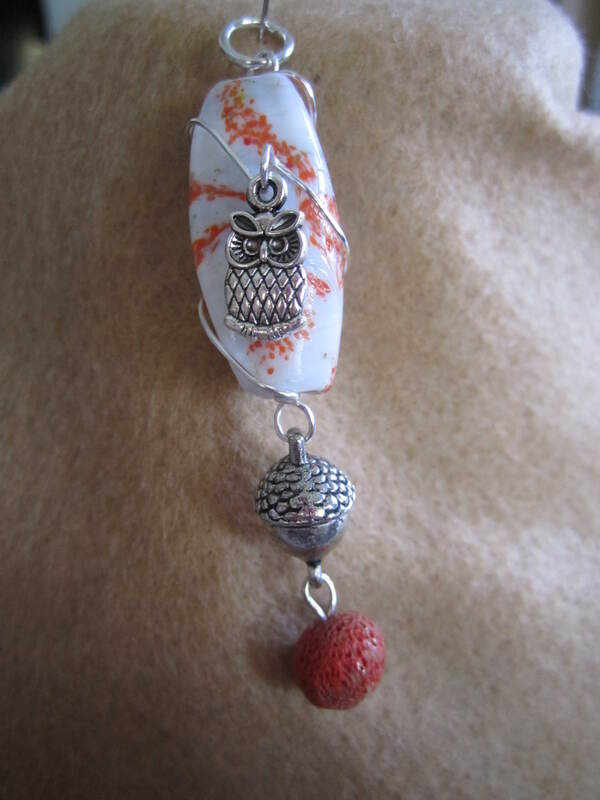 I love owls and anything autumn so I figured maybe they could all go together for a fun fall pendant !! it is a very porus bead but actually much more orange than red, not sure why it came out so red , the next picture is a bit better but it does have a lot more orange in it then red. 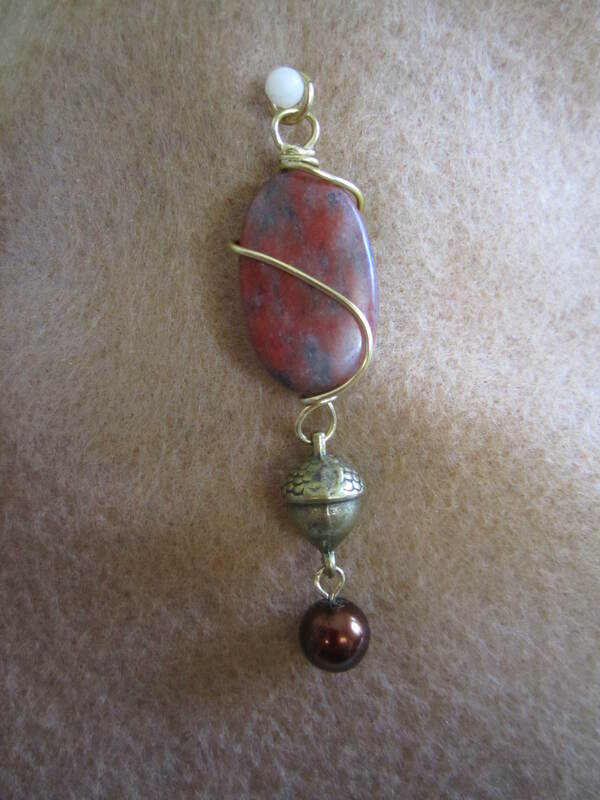 another autumn inspired stone pendant. 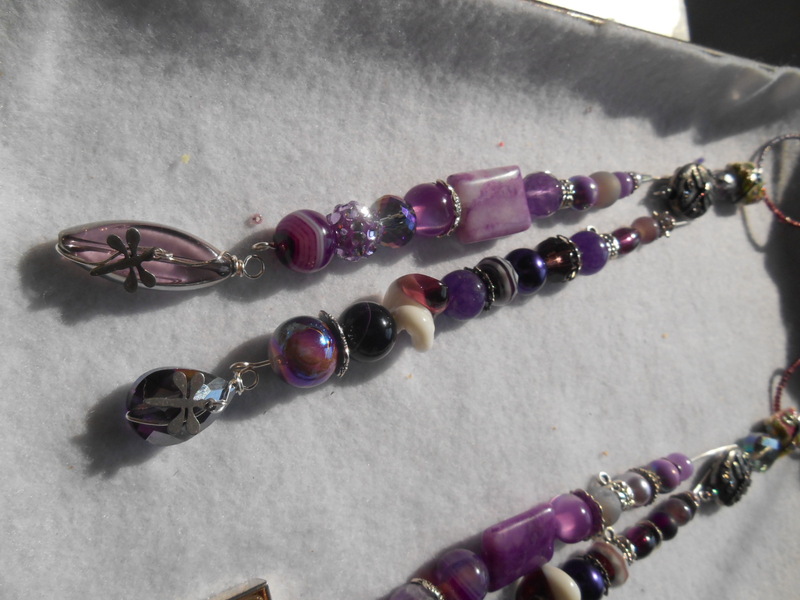 I love the accorn charms and the stones have such pretty colors through them !! I have a few more, but my computer is acting up so I am tired of fighting with it, so this will have to do !! 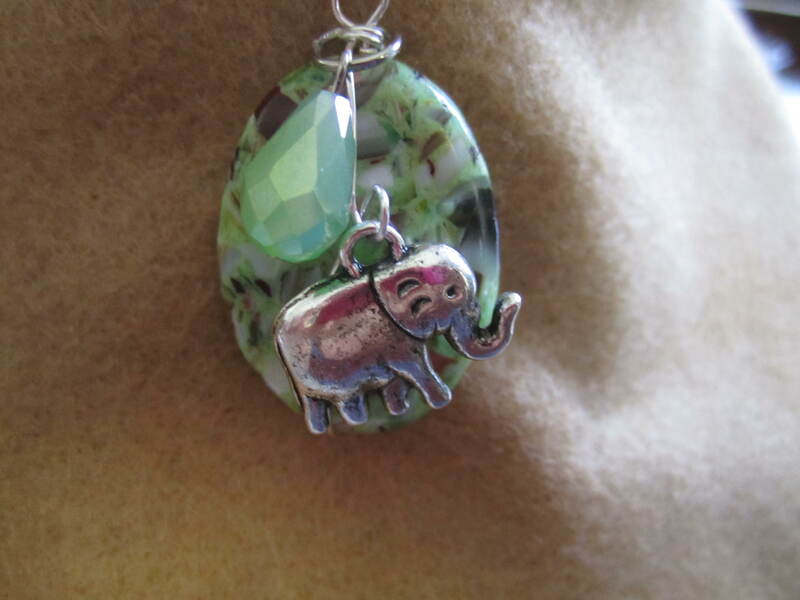 I am having so much fun playing with the beads and the charms with the wire. I am going to be doing a lot more of this type of work going forward, I really enjoy it ! !